Huawei and ZTE provide hardware for mobile data networks, including modems, in addition to mobile devices. Therefore, it may be a blow to both companies to find they cannot tender for supplier contracts as Australia prepares for 5G connectivity. Both companies have a good track record of mobile network product sales in the country. 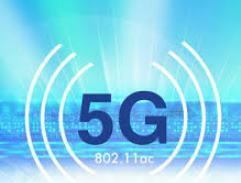 The Australian government is currently involved in bringing 5G technology to businesses and individuals in the country. Therefore, they may be looking for suppliers of relevant hardware and services. Recent reports have indicated that ZTE and Huawei will not be among them. The two companies have sold wireless technology in this country in the past. However, the Australian government has recently resolved to ban several companies from doing so in the course of the nationwide upgrade to 5G. Their announcement on the subject did not mention Huawei or ZTE specifically. However, a tweet posted by Huawei Australia noted that both companies had been banned from 5G-related provision in the country. The Australian government is quoted as taking security over 5G connections into account in coming to this decision. They also appear to believe that the "increased complexity" involved in setting up and maintaining 5G networks, compared to those associated with older bands, will render this security more difficult to uphold in the future. Therefore, Government has expectations of the application of the TSSR (Telecommunications Sector Security Reforms) obligations with respect to the involvement of third party vendors in 5G networks, including evolution of networks leading to mature 5G networks. This applies equally to all carriers, consistent with government’s long-standing commitment to a level playing field in the sector. In essence, the Australian government appears to suspect that Huawei, at least, has close and potentially compromizing ties to the Chinese government. The company has denied this in the past, however.